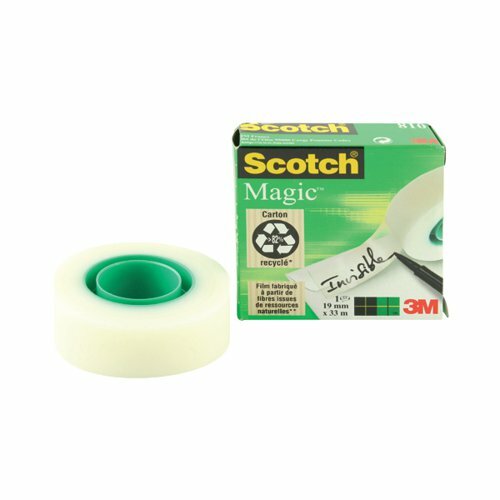 3M Scotch Magic Tape It^s invisible in use and can be written on. Ideal for paper repairs and sealing. Won^t ghost on photocopies or yellow with age. Each roll measures 19mm x 33m.